Last weekend we took a day trip to Niagara Falls. It’s just a two-hour drive from home but we rarely go, except when visitors are in town. Well, we had visitors from Australia staying with us so we took the opportunity to show them this natural wonder of the world. The weather was perfect, with clear blue skies and above average temperatures. However, the unfettered sunlight made conditions very bright and difficult for taking images with good contrast. 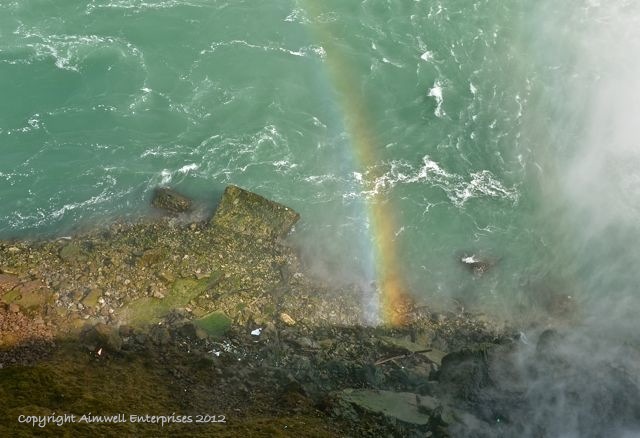 Having said that, I was able to capture this colourful rainbow hovering over the NIagara River, in front of the American Falls (from this angle) and adjacent to the heavy mists of the thundering and majestic Horseshoe Falls. 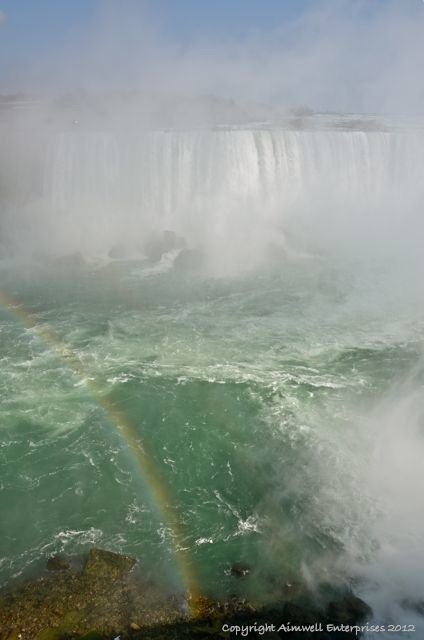 NIagara Falls lies on the international border between southern Ontario in Canada and New York state in the U.S. Its more than 165ft vertical drop and flow rate make it the most powerful waterfall in the world. Little wonder it attracts millions of visitors every year. What was really fun was seeing where the rainbow ended. I don’t know that there was a pot of gold there, but if you look to the left there appears to be the outline of a giant shamrock. Given that this was St. Patrick’s Day weekend it seemed appropriate. 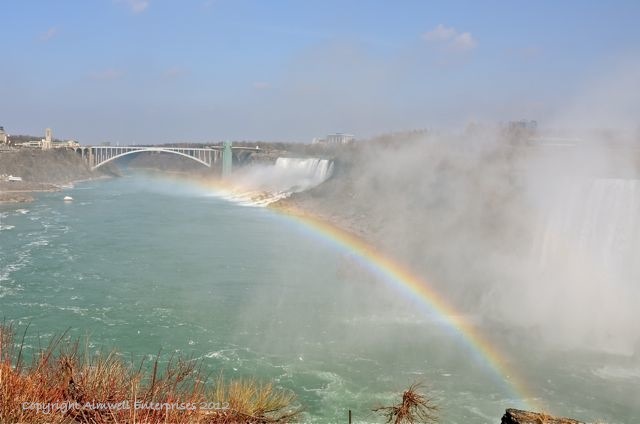 This entry was posted in Canada, Landscapes, Nature, Photography, Travel, Uncategorized and tagged Niagara, Ontario, Photography, rainbow, Travel, water, Weather. Bookmark the permalink. Wow, stunning photos! Keep up the great work!